My son was born in December of 2014. I took all of my paid sick days in order to afford to take time off to be with him after he was born. My job was very helpful in making sure I filled out the paperwork for New Jersey’s Family Leave Insurance program so I could afford to take more than just my accrued paid sick days. 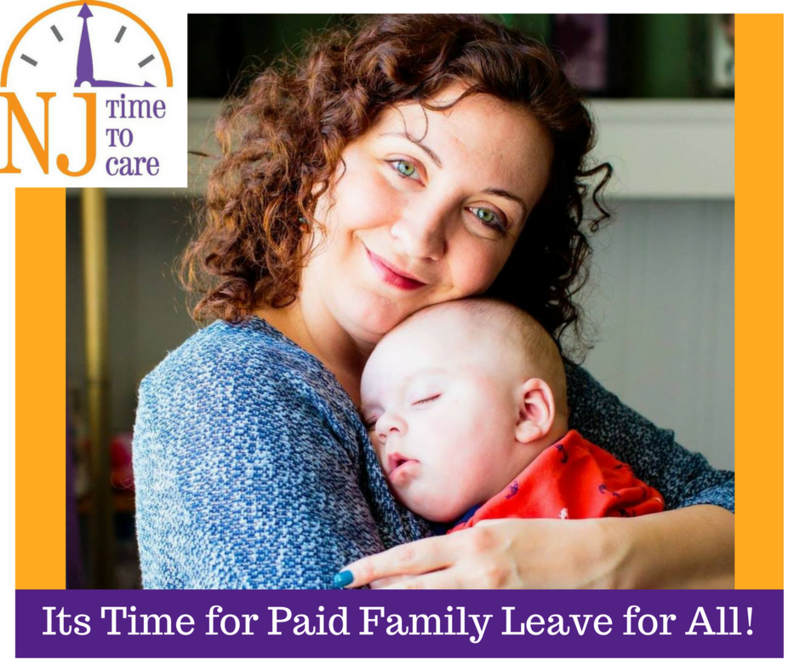 I’m very grateful to live in New Jersey, one of only a few states to offer paid family leave. It was very important to me as a new mother to have time to first of all recover –my body and hormones had been on quite a roller coaster ride, but primarily it is crucially important to me to be able to bond with my newborn wonderful baby boy. Those early weeks when my son was not sleeping much and I was not sleeping I was just in survival mode and its so important to not worry about work and be able to rest, to bond, and to focus on family. My husband is a welder by trade. He was laid off from his company after 10 years shortly before my pregnancy. At the time, we had no idea that he might have in fact still been eligible to receive paid family leave, which would have made things so much more financially stable. We choose to look at the positive side of our situation and how my husband would be with me and the baby during the early bonding months and that he could care for the baby when I returned to work, which I did 12 weeks after Declan was born. In addition, having my husband at home was so important as I was being treated for post partum anxiety issues. Neither of us felt comfortable with or could afford anyway, the cost of childcare, so our situation ultimately worked for us. What would have helped me additionally was being able to take more time and of course, receive more money. Our financial situation was exacerbated by the fact that my husband did not know he could apply for NJ Family Leave Insurance and there a hold up with my Family Leave Insurance payments. Due to the slow processing I ended up receiving the FLI wage replacement money 4 months after the birth of my son.